Hi, y'all! 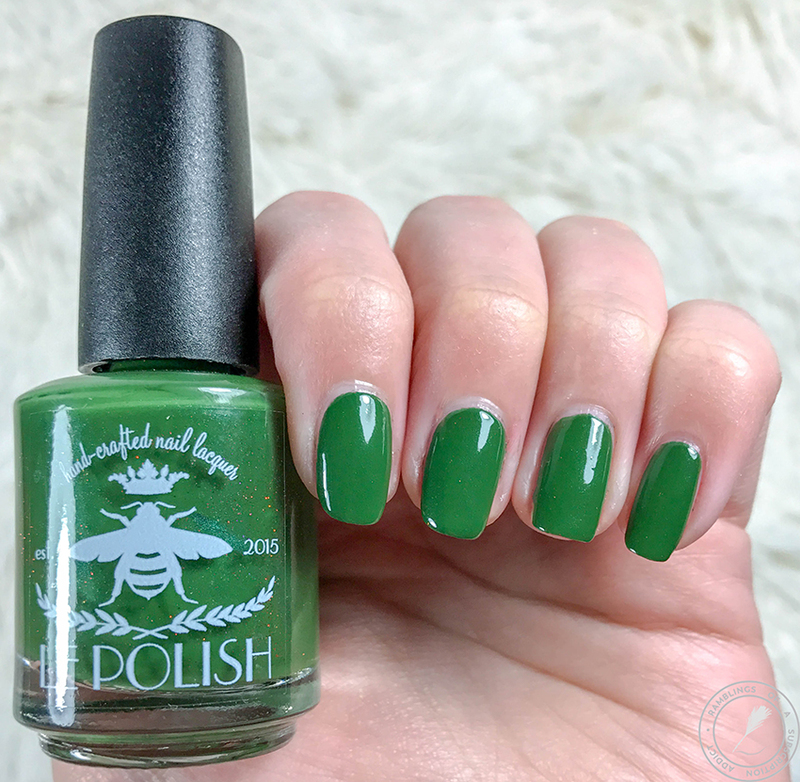 I'm back with another polish from le Polish's 12 Days of Polish from the year before last. 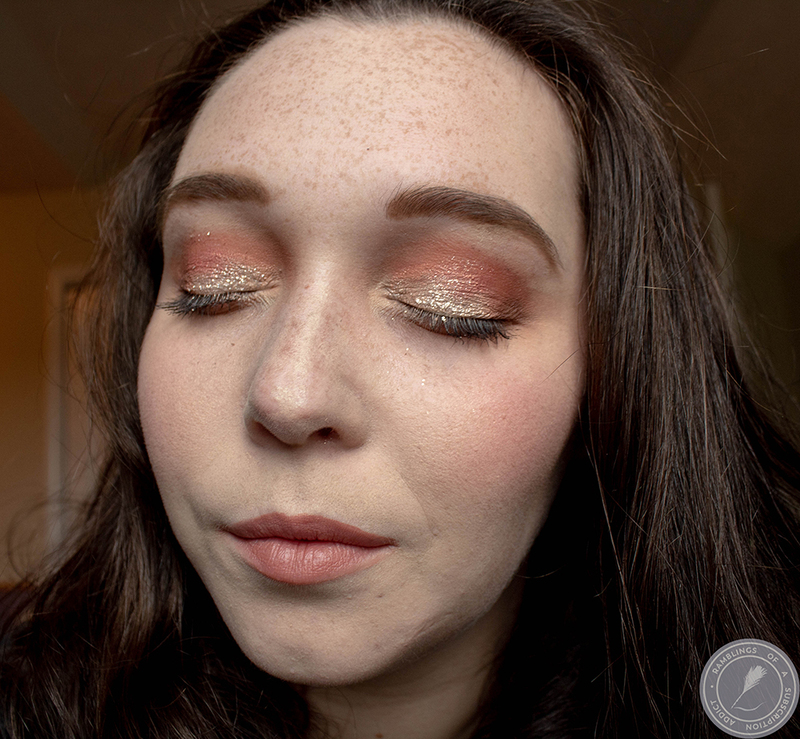 This one was in collaboration with one of my favorite people, Velashaa from Two Girls, One Blush! 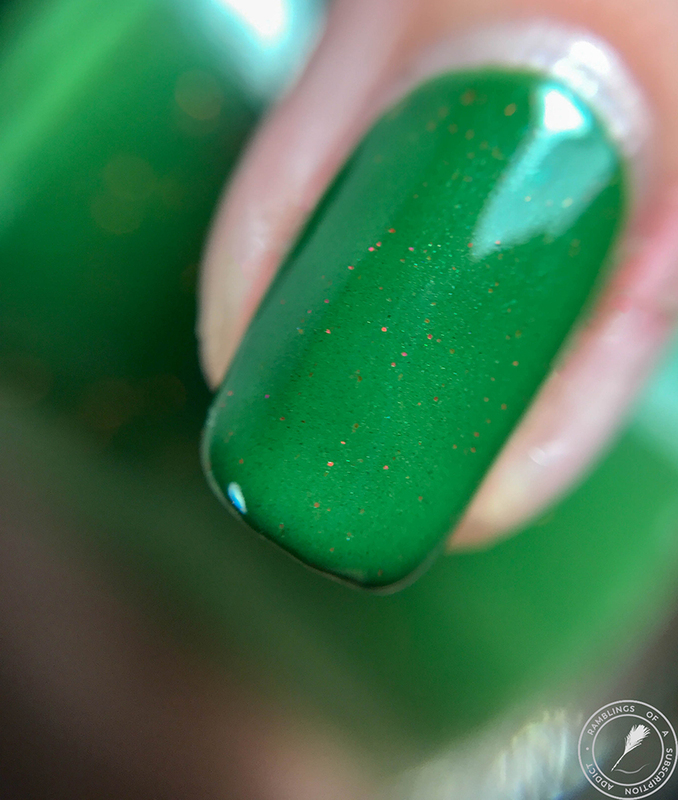 I'm still working through my backlog of swatches from way too far back, and this is one of those! 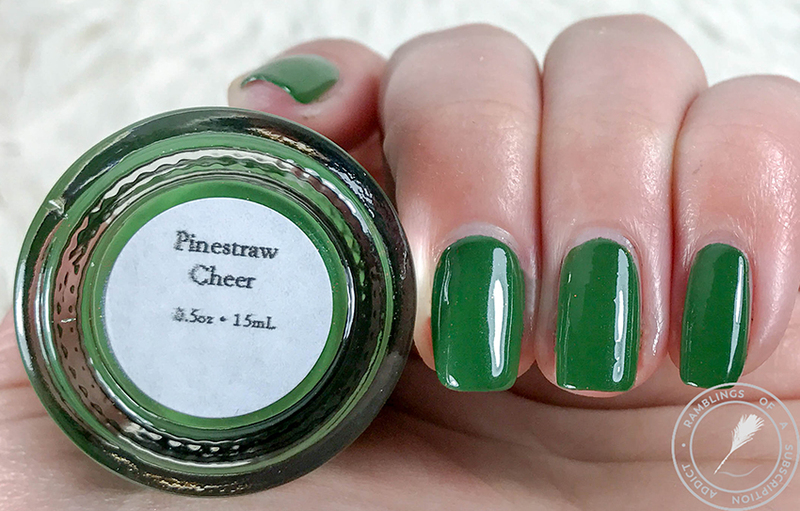 Pinestraw Cheer is a spruce green shimmery polish with red and gold microglitters. This was a letdown when I received it. 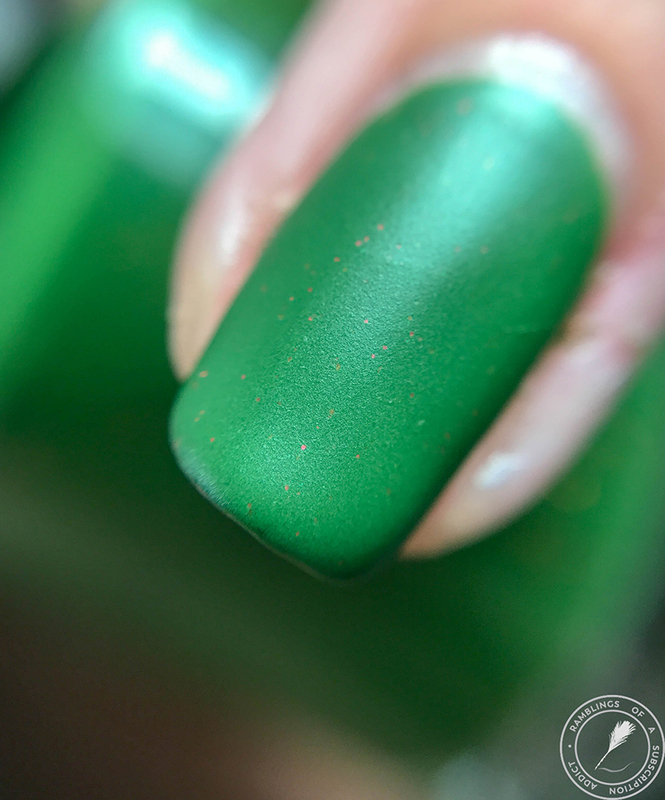 My bottle didn't have that pop of shimmer and it was a lot lighter base than the swatch pictures. The application was okay but was a bit thin on the first coat. 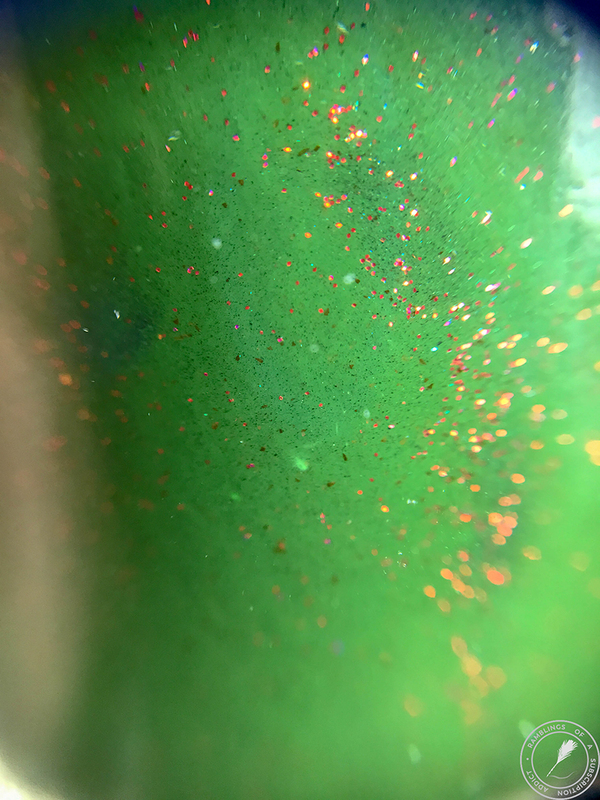 There are red microglitters in the bottle and there are a few on the nail, but not as many as I would have preferred. 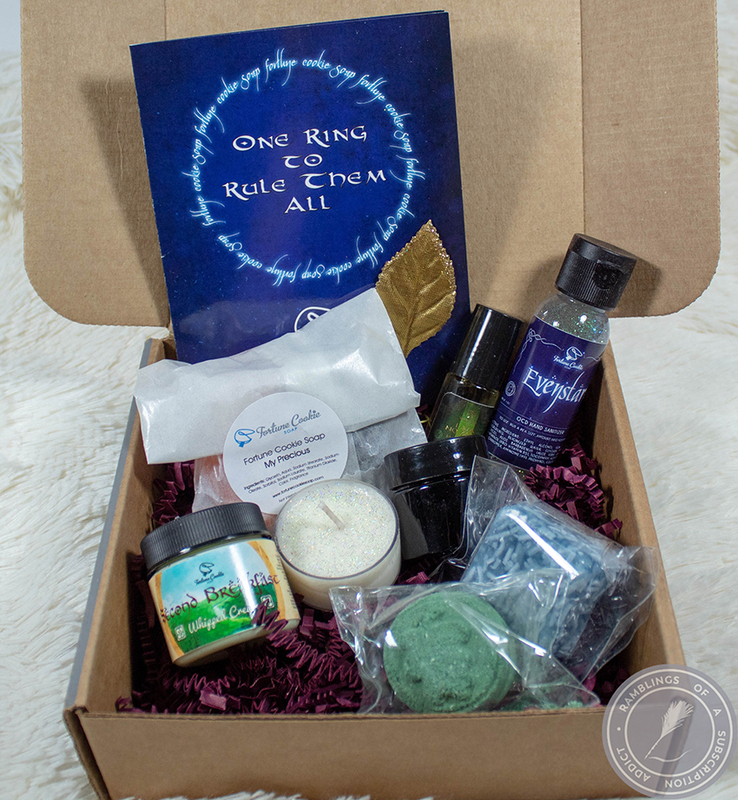 I was hoping for Christmas in a bottle. 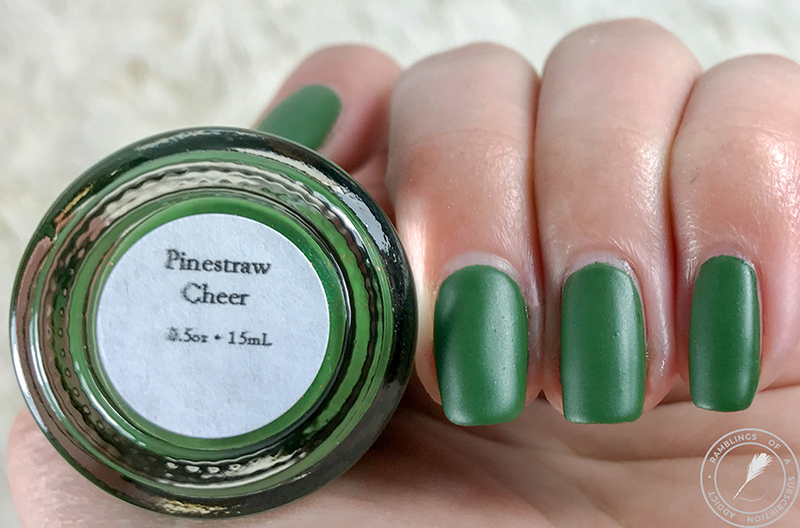 The matte top coat doesn't change the polish very much. 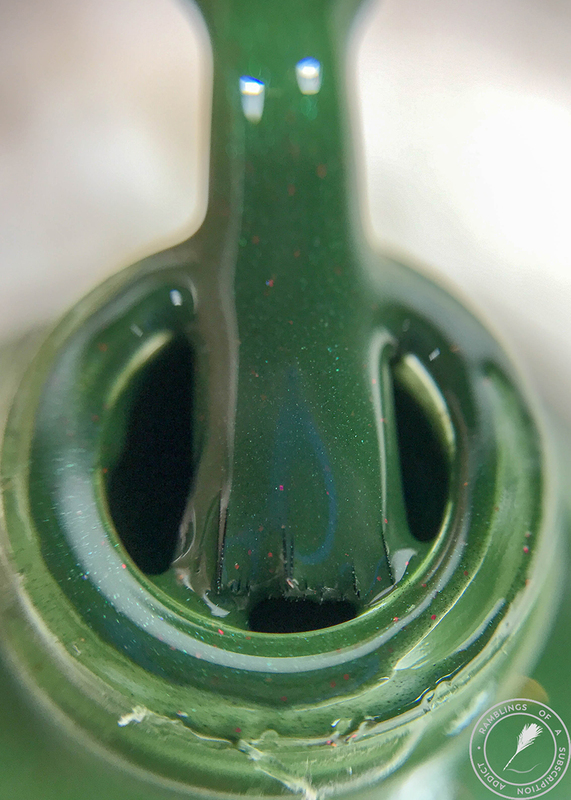 The microglitters don't pop any more than with the glossy top coat.